Social media marketing is often thought of as the preserve of companies who deal with consumers, but it also has much to offer B2B businesses. The important thing to remember is that behind any business, you’ll find people, and increasingly these days, where there are people there is social media. Furthermore, many buyers are part of the generation that embraces new technologies, and are becoming increasingly aware of the opportunities that social media holds. B2B buyers are constantly looking to obtain value for their firm, so are perhaps more likely to follow brands on social media than consumers, whose online activities and focus when using social networks is generally much broader. 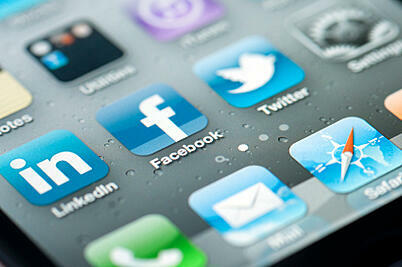 A recent report by Marketing Sherpa showed that social media receives on average 9% of B2B marketing budgets. For a relatively new marketing outlet this is an impressive figure, and one which looks set to increase. So what can your company do to make the most out of social media? Micro-blogging - Sites like Twitter enable you to keep B2B buyers up to date with what your company is doing, without overdoing it on the details. If they want to find out more about a new product you mention or read a white paper you’ve published, they can choose to do so by following a link back to your own website. Content sharing - Social media is becoming more and more important not just of itself, but for internet search as well. Google and others have said that they plan to use social indicators, such as Google’s +1 button or Facebook’s ‘Like’, when calculating organic search rankings. In many ways though this is just an extension of something that’s been around for a long time - back-link popularity ranking factors. By creating content that buyers will share with their social circles, your business can not only increase its exposure but also enhance its positioning in the search engine results pages (SERPS). Brand pages – A brand page on a site like Facebook or LinkedIn is invaluable. Think of it as a business card, but one which you don’t need to hand out. The great thing about having a brand page on social media is that if buyers want to find out more about you, they can; if they've never met you before they can find you by searching. Brand pages are effective because they give you the opportunity to put your best face forward, with text, photos, videos and more. But all of these other aspects are really just lead-ups to the greatest asset that social media can give you – communication. Once you’ve engaged the interest of B2B buyers they may be inclined to ask you questions regarding your services, either privately or in public via social media. This communication can be the beginning of a mutually beneficial relationship. But social media management isn't just a way of finding new customers; it can help you enrich your existing relationships, creating greater value and understanding for both parties. Let us know how your business is using social media.